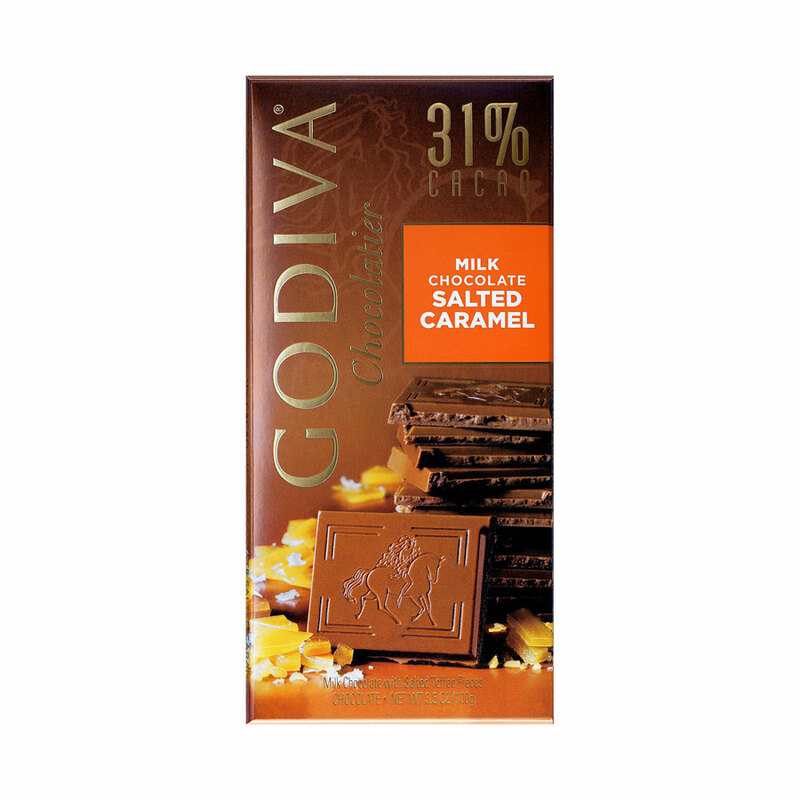 Treat yourself to the Godiva Milk Chocolate Salted Caramel Tablet. 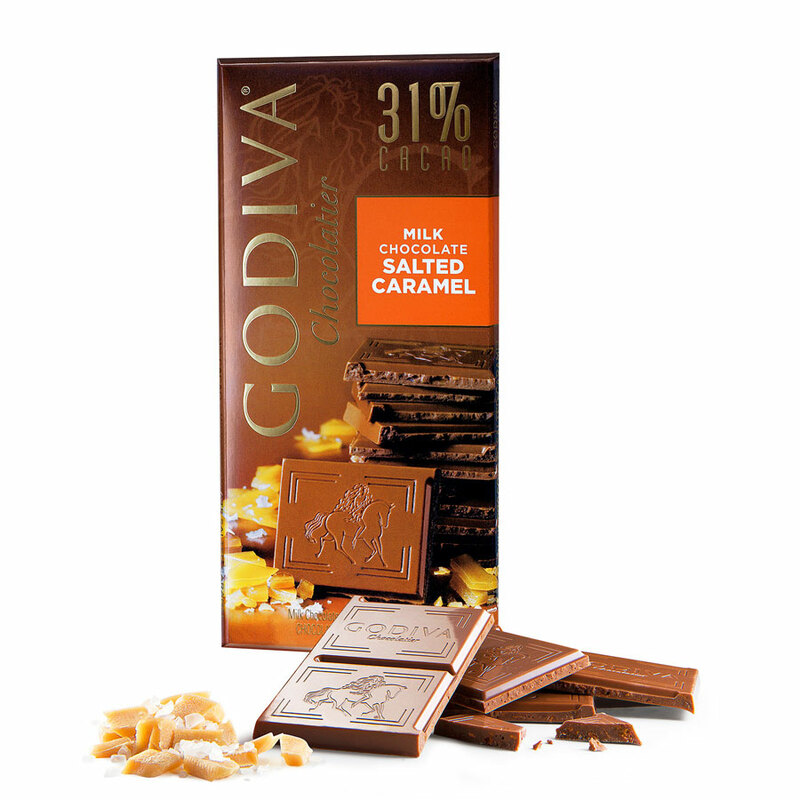 It is a true modern classic, combining smooth Godiva milk chocolate made with 31% cacao and crunchy pieces of buttery, sweet caramelized toffee. 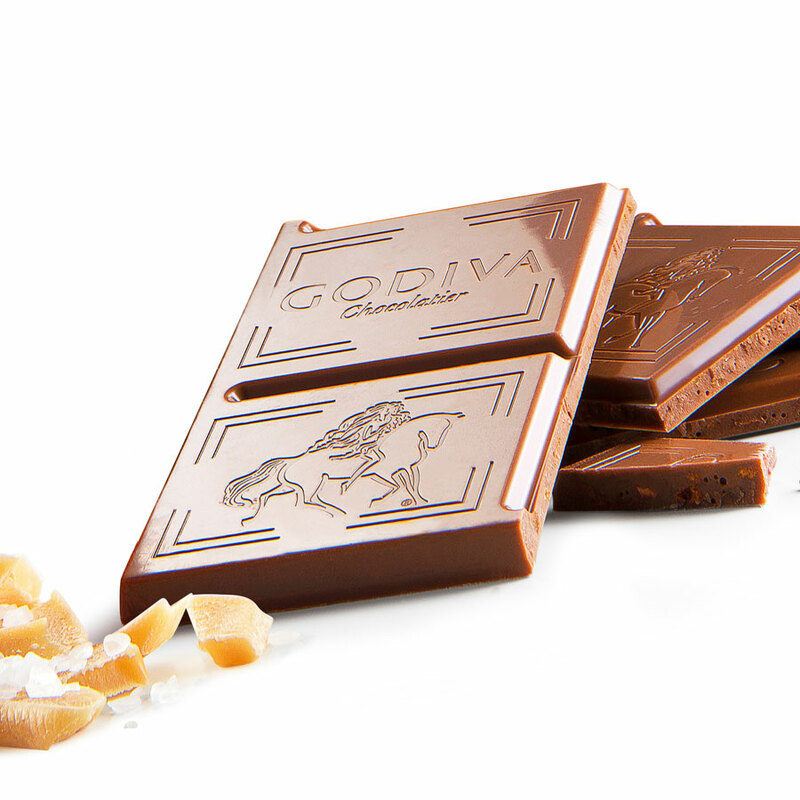 A hint of sea salt provides the perfect balance to the sweet flavors, resulting in sophisticated pleasure that will not soon be forgotten.